Please, never let the Shadowhunters behind-the-scenes photos stop coming. 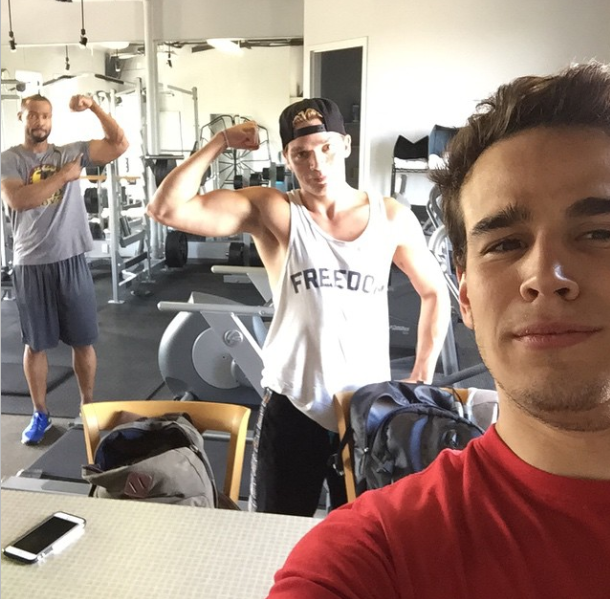 The latest BTS photo comes courtesy of our Jace, Dominic Sherwood, who posted a photo of him (looking very ripped) with co-stars Alberto Rosende (looking adorable) and Isaiah Mustafa (also looking ripped) working out. 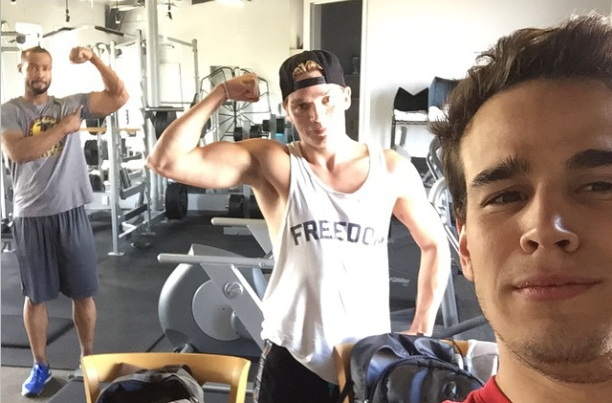 Katherine McNamara got in on the action with a photo of her and her boys, Dom and Alberto, working on lifting weights. Shadowhunters is set to begin filming one week from this Monday in Toronto and will premiere in early 2016 on ABC Family. Jesus … Can I be trained by Jace ._. And is Dom’s hair looking blonde or is that just me? Take off the hat Dom! Yeah I was thinking that – it’s definitely blonder…I think…..